What is the best wedding ring for me? Properties: The tones range from greens to dark browns and blacks. Other facts: The Cutty Sark was built in 1869 and is a world famous ship originally used to import tea into Britain. 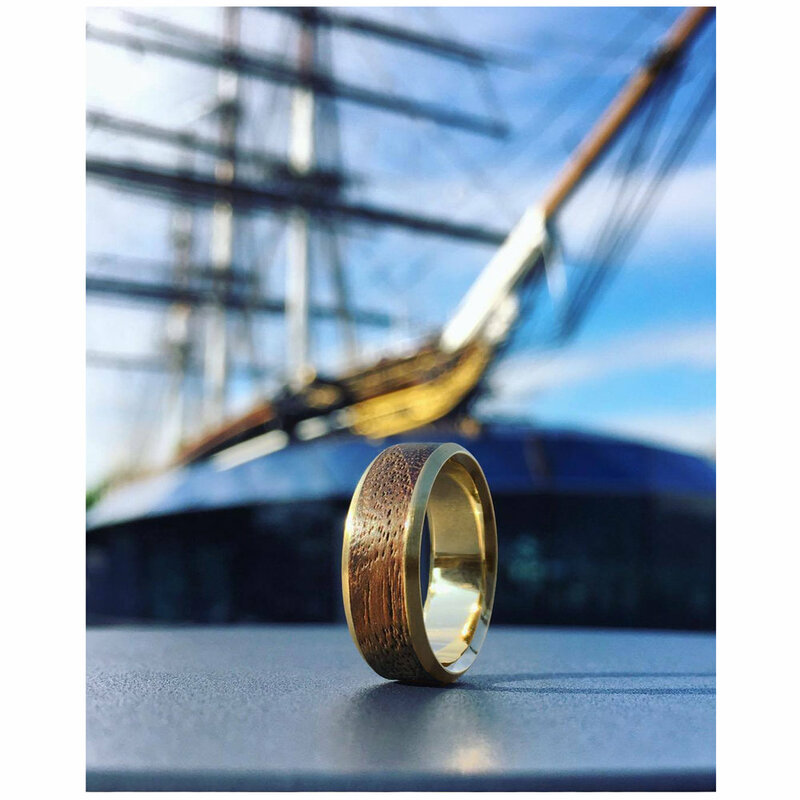 All we know about the wood is that it was removed from the Cutty Sark vessel in the late 1960’s whilst under going maintenance work at Chatham Dock yard. The ship has since been renovated again following a fire in 2007 and can be seen in Greenwich, London. Reclaimed: The video at the bottom of the page shows the Cutty Sark timber being ripsawed into spindle banks.